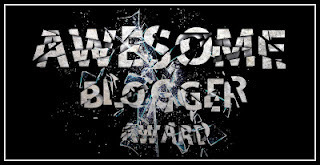 The month of July seemed awarded month to me as I received both Liebster Blog and Awesome blogger awards by both lovely and amiable bloggers. I never knew I am that good enough to receive such present from well known bloggers but really this is provocation for me to fulfill some expectations further of my blogger friends and readers. My hearty congratulations to those who passed on this award to me and also i am thankful that they found me such capable for their recognition. #If you are tagged/nominated, you have to post 11 facts abut yourself. #Then you answer the 11 questions the tagger has given you & make 11 questions for the people you are going to tag. #Tell the people you tagged that you did. 1. A little girl inside me who can even crawl over for things she desires. 3. I love my privacy and can to sit near the window imagining seashore alone for hour’s n hours. 5. I have my own iconic style to wear, walk and talk rather following others. 6. I know to play Piano and learning guitar these days…so m insane for music too. I feel my soul is void without “sur”. 7. I am a nature lover too, so my favorite color is green. 8. Travelling was my passion years back but seems work pressure are making me to sit quite at one place, to look only in laptop, do some innovation for career growth , make presentations even on weekends and final say telecomm sector sucked my passion. 9. Still “be lively” is my life’s funda. Thank to holy lord! 10. I love to capture unprecedented shots means love photography too. 11. Last but not least, Smiling is my attribute so I do spread the same. Smile Please. They asked different 11 set of questions to me and I am glad while writing answers for them because this is the only set of questions for which I have already received awards before giving any answers J. So here I goes…. 1] 'Checkered blue n white' or 'black'?--- black ..i believe one who can live in darkness can be the savior of own life in any circumstances. 3] Hardcover, paperback or ebooks?--paperback! 8] What’s your mantra in life? Be lively and keep smiling. 9] Have you ever thought of becoming a soldier in your life?— not soldier but yes tried twice for SSC to join Defense. Other Rule says- to ask 11 questions to the bloggers you are going to tag. 1. One movie that you can watch again n again? 2. What's your ambiance while writing? 3. You favourite animals and why? 4. What is the best way to express feelings? 5. Do you like Poetry? If yes, then tell any of your favourite line you ever write or read. 6. Things makes you happy? 7. Things makes you sad? 8. What is your life’s passion? 9. Recent book you read? 11. What is your life`s mantra? Some are new like me, some have already made milestones in scribbling. So it is very difficult to mention few names when you are following long list of bloggers. Keep Writing , keep reading and keep sharing !!! Congratulations to you on your awards! Well done to the nominees. It's always nice to learn a little more about the Lady Flower behind the pen (smile). This is a surprise that you would include me in your list. Thank you so much. I actually stopped doing tag awards some time ago, because I had a hard time selecting just a few people from the arena of talented writers. I still like to recognize those kind enough to tag me, so I shall humbly accept your awards and display them on my Tag Awards page over at my main blog. I hope these awards inspire you to keep up with your writing and may many more such accolades come your way. Thanks again. I appreciate the mention. Hey thank you so much for this Jasmeet! This is awesome : )) Thank you ever so much! Lots of hugs! Congrats and you know to play the piano? Wow!